Great fusion of colours! Could you please advise what is the blue one? 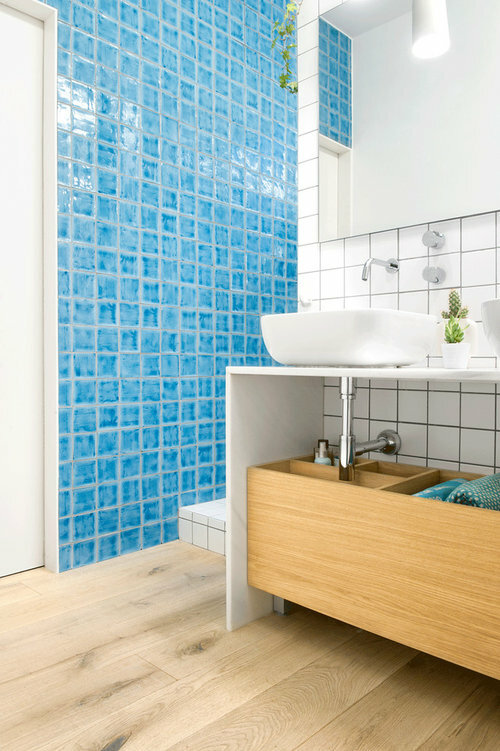 What is the brand of blue mosaic? it is a handmade enameled 10x10 tile supplied by local (barcelona) dealer called Ditail.net. Please contact them for further specs and available options.